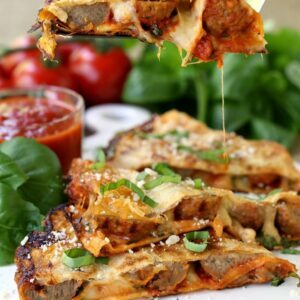 This Italian Wedding Meatball Baked Ziti is going to be the hit of the dinner table! 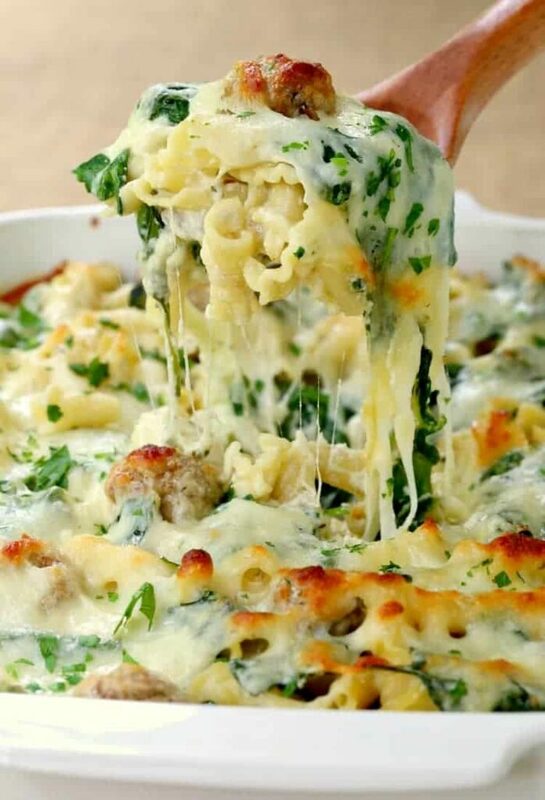 All the flavors of Italian Wedding Soup baked into a cheesy pasta dish! But Italian Wedding Soup? You know the kind with pasta and meatballs? Love it. And it seems to fit any type of season. The boys love it so much that we make it pretty regularly. So I thought that we could take those same flavors and bake it into this Italian Wedding Meatball Baked Ziti for dinner. What Kind Of Pasta Can You Use For Baked Ziti? But you can also use many different shapes of tube pasta also like the campanelle pasta I used in this baked ziti recipe. Or you can use mostaccioli, penne, or rigatoni. Any kind of tube pasta that will trap all that delicious sauce inside it in every bite. This baked ziti recipe won’t take you all day to make, either. 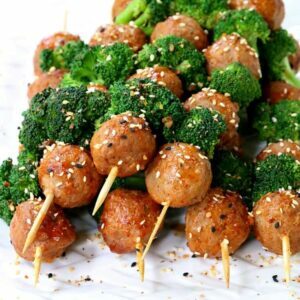 Save some time and buy frozen meatballs from the store and fresh or frozen spinach, the rest is easy. How Do You Make Baked Ziti? Any type of baked ziti recipe is basically a tube shaped pasta, like we went over, sauce and mozzarella cheese. Most recipes will call for ricotta cheese too but some are just the basic pasta, sauce and cheese. All baked in a casserole dish until the cheese is melted on top and the ziti and sauce are warm. Pretty basic, but we’re kicking up the flavors of a typical baked ziti recipe for this Italian Wedding Meatball Baked Ziti. Start by boiling the pasta, drain and add it to a pot with fresh spinach (or frozen if you’re using) and the frozen meatballs. Pour in your homemade creamy, cheese sauce that you whipped up while the pasta was cooking and toss everything together with 1/2 cup of mozzarella cheese. Bonus, there’s no need to even thaw out those frozen meatballs. They’re going to cook right in this baked ziti recipe! 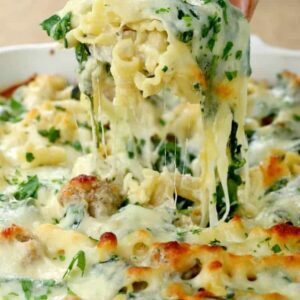 Pour the ziti, meatballs and spinach into a casserole dish and top with the rest of your mozzarella cheese and more parmesan cheese. Now it’s time to get this baked ziti recipe in the oven to BAKE! What comes out is the most AMAZING pasta dish you’ve ever seen. 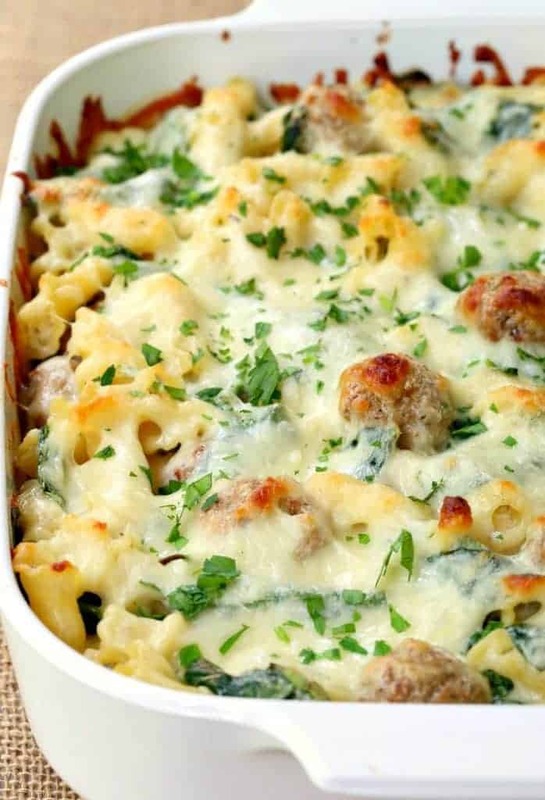 Creamy, cheesy pasta with meatballs and parmesan cheese. 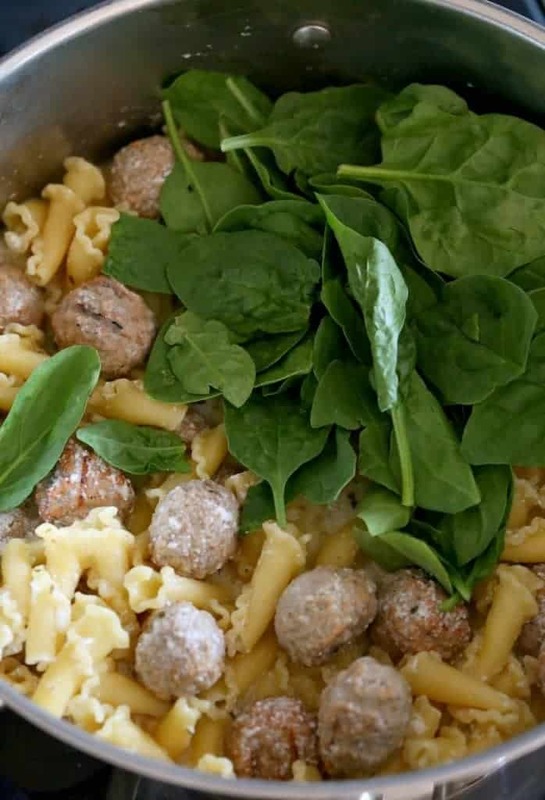 All the flavors I love in Italian Wedding Soup in one, big pasta recipe. This Italian Wedding Meatball Baked Ziti is a baked ziti recipe that will feed a crowd! 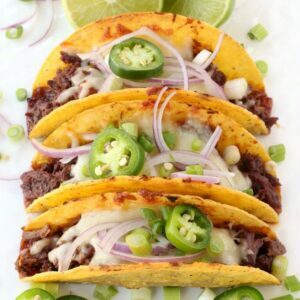 Make it for parties, potluck dinners or just a family dinner at home! This twist on a baked ziti recipe can be on the table in just minutes with a little help from the store! Start a large pot of water to boil, once it comes to a boil, add the pasta and cook according to package direction and drain. While the pasta is cooking you can start the sauce. In a medium saucepan, melt the butter then whisk in the cream. Add the rest of the ingredients for the sauce and stir well to combine. Simmer for 5 minutes on low then cover and remove from the heat. 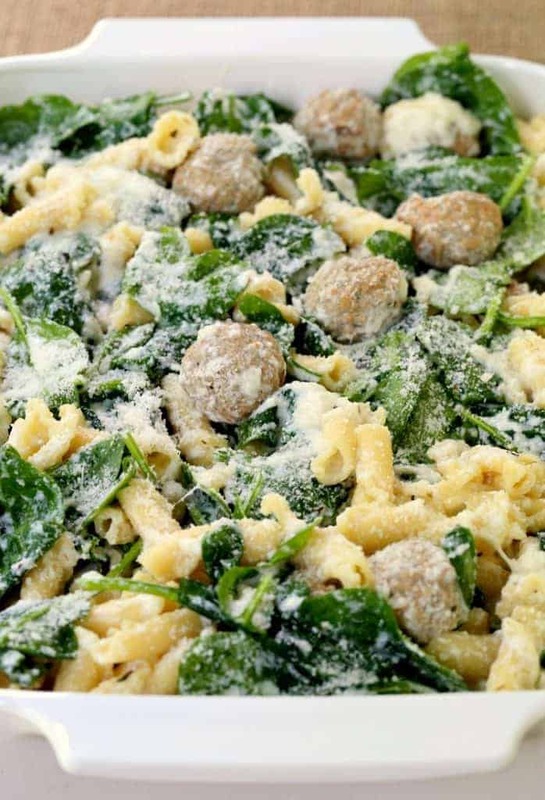 When the pasta is cooked and drained, return it to the same pot that you cooked it in, along with the fresh spinach, frozen meatballs and 1/2 cup of the mozzarella cheese. Pour the sauce over the pasta and stir well to combine. Spray a 9″ x 12″ baking dish with cooking spray then pour in the pasta mixture.